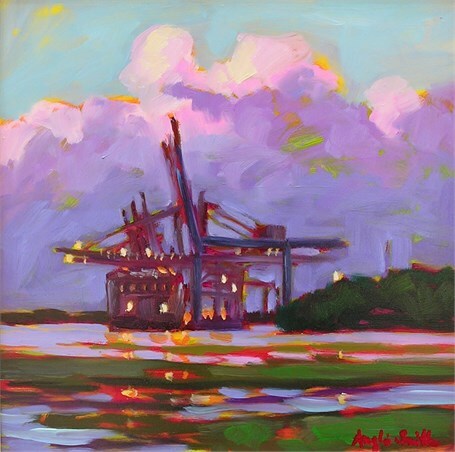 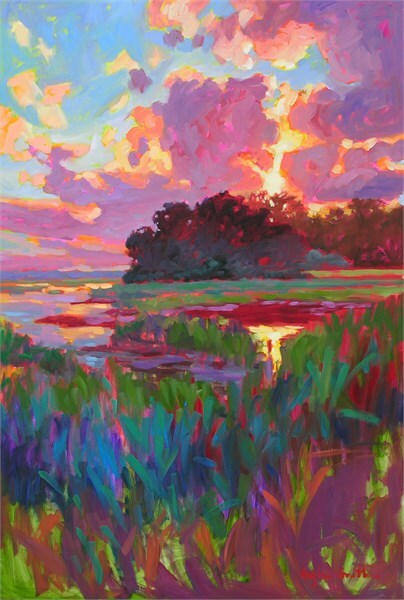 "The ambient light of the Lowcountry has fascinated artists for decades if not centuries," Smith says. 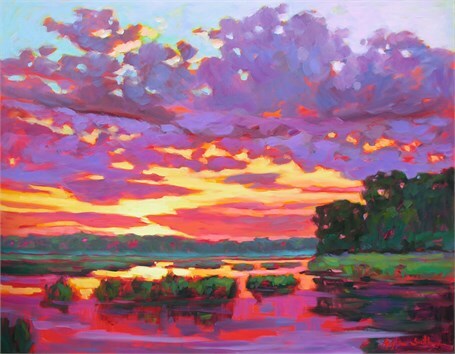 She's, of course, among those artists: "Light fades and softens under the cloak of humidity, becoming mysteriously intriguing. 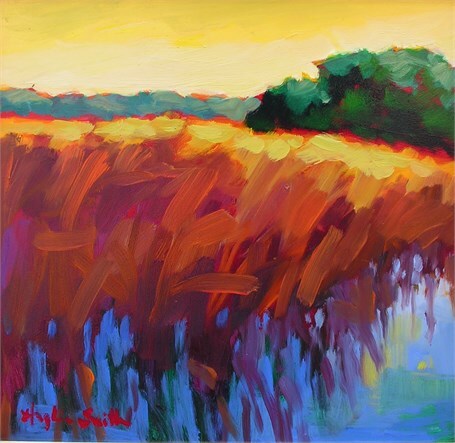 And then as the haze gives way, we are entertained by the rich colors from the marshes to the waterways and the sky above. 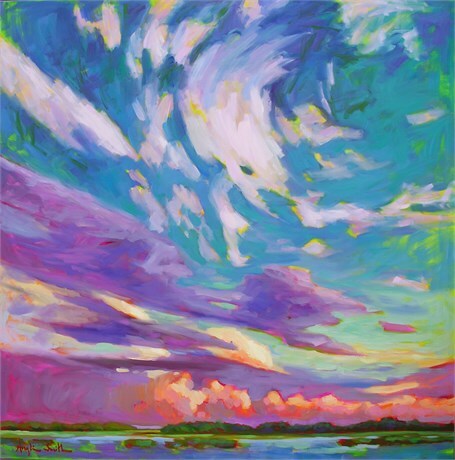 Always new and always changing. 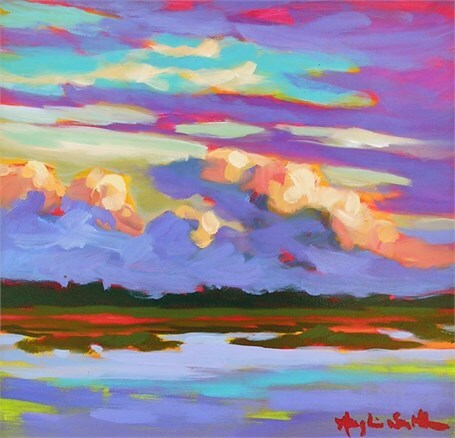 Mother Nature 'shows off,' and we are anything but bored!" 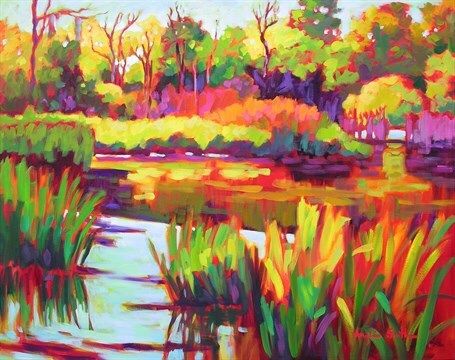 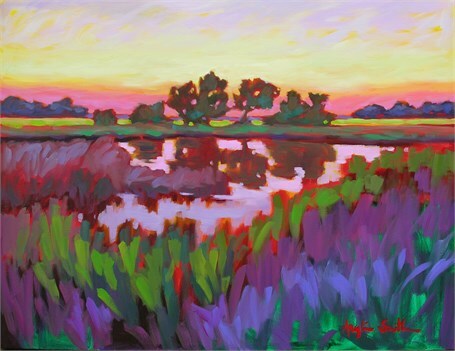 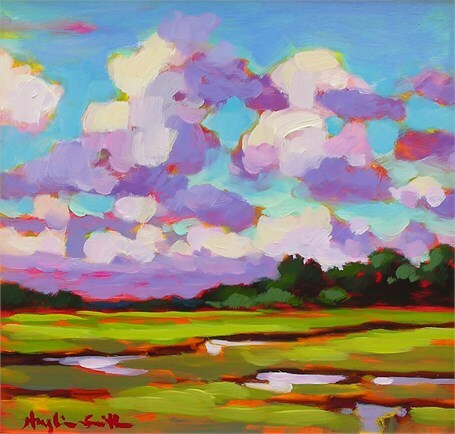 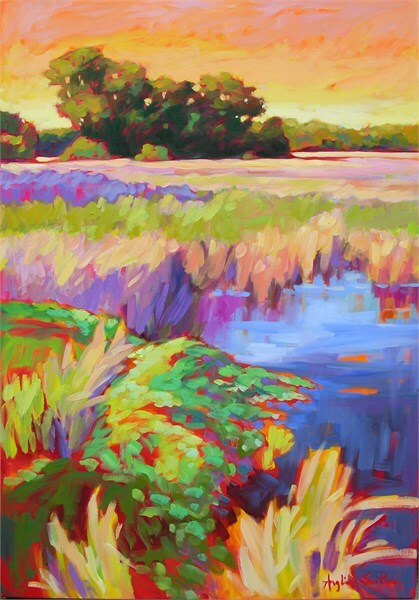 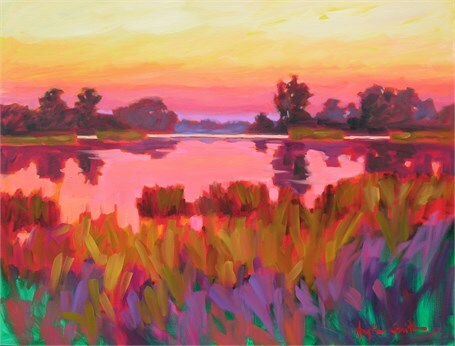 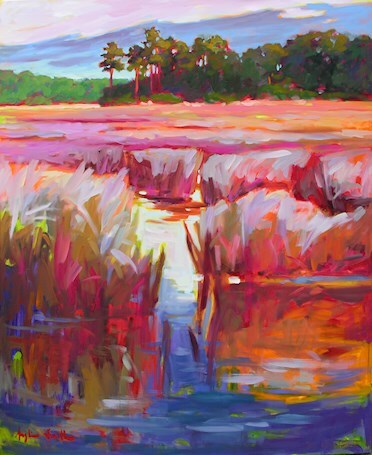 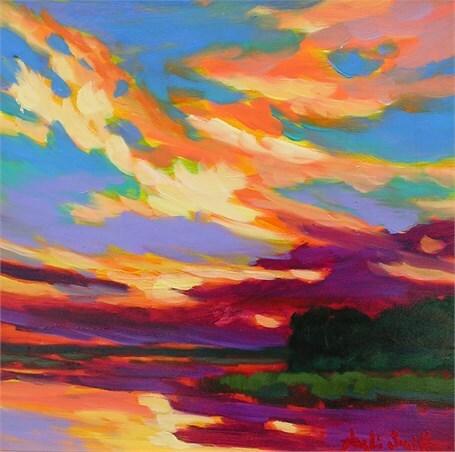 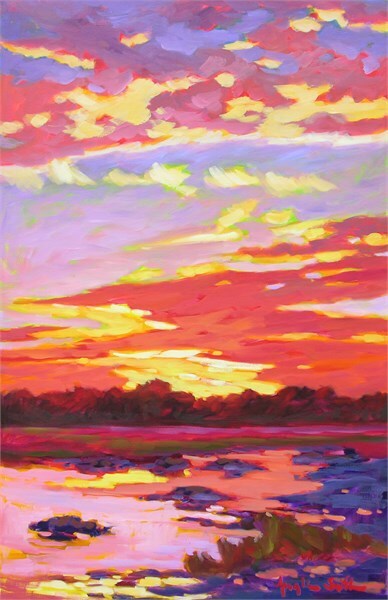 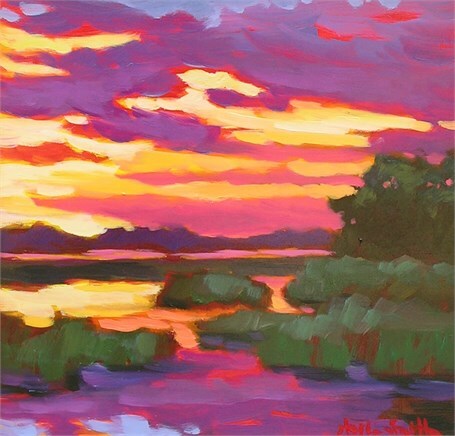 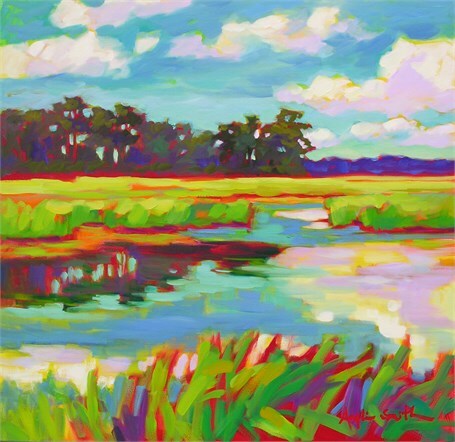 Smith has been painting the Lowcountry for over 40 years, but she's been particularly drawn to its lively marshes, winding creeks, and splendid skies since she and her husband renovated an abandoned cottage in Meggett, South Carolina, about 15 years ago. 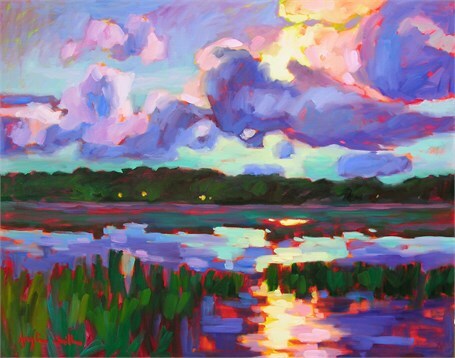 In that cottage is Betty's painting studio, which overlooks the flats of the Wadmalaw Sound. 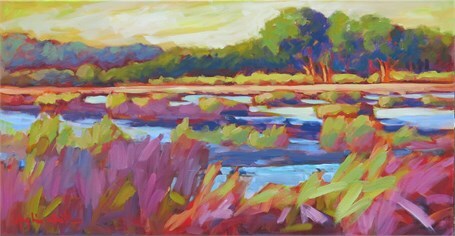 All she has to do is look outside her window to find inspiration in the light of the Lowcountry, and she finds it often.